1. What double digit seed do you think could make a run to the Sweet Sixteen (or even Final Four)? Jackson Nash: #12 Murray State. Winners of 11 straight going into the tournament, the Ja Morant-led Racers are gonna be a team nobody wants to see. They have an intriguing matchup with Marquette in the first round, a team that started off hot but has cooled recently. They would then face inconsistent team in Florida State and then Gonzaga. I could see the Racers giving the Zags a run for their money. There are sleepers in Dayton, and ever since the First Four began in 2011 at least one team has gone on to win a game in the NCAA tournament. In March, you need to score, and Belmont ranks second in the nation scoring 87.4 points per game. I also love Dylan Windler, as the senior is averaging 21.4 points and 10.7 rebounds on the season. Having just won the Big West Tournament, UC-Irvine has been victorious in 16 straight games. This veteran-laden that will take on a #4 Kansas St. team that could potentially be without their best player due to injury. Assuming they get through that game, the Anteaters will get the winner of #5 Wisconsin vs #12 Oregon, both of which look like very beatable teams. I think #13 UC-Irvine could all the way into the Elite Eight. Ben Miller: #12 Murray State. They’ll have the best player on the court (Ja Morant) against almost every opponenet, and they’re riding an 11-game win streak currently. They are also going up against a team in Marquette who is 1-3 in their last four games. Tanner Peterson: #12 Oregon Ducks. The Pac-12 tournament champions come in as a #12 seed and take on the #5 seeded Wisconsin Badgers. The Ducks are one of the NCAA’s top defensive teams, ranking 23rd (out of 351 DI teams) in FG percentage and 17th in points allowed per game. The Badgers enter into the tournament ranking 257th in all of DI in points scored per game. If Oregon can get out to an early lead, Greg Gard and the Badgers may not have the scoring power to overcome the deficit. The Huskies won 12 of their last 13 games before the tournament, and are one of the best shooting teams in the country (22nd in FG%), especially from downtown (14th in 3FG%). The CAA champs have four upperclassmen guards who average double digits, and their first-round matchup Kansas is shorthanded by injuries and off-the-court troubles. 2. Is there a top-four seeded team (seeds #1-4 in each region) that you think could be upset in the first round of the tournament? K-State has been inconsistent all season, finishing the year strong but losing some questionable games to Texas A&M and Tulsa. 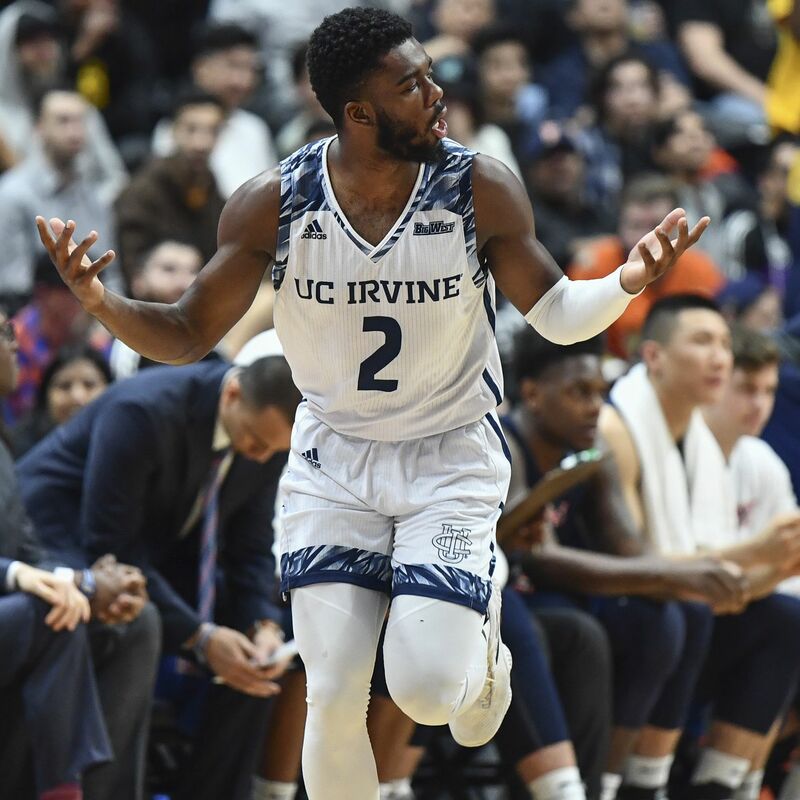 UC Irvine is riding a hot streak, coming into the tournament on a 16-game win streak and dominating the Big West conference tournament. Junior guards Max Hazzard and Evan Leonard have been playing exceptional of late and look to continue that going into the tournament. The Jayhawks are not the same team as they were in November when they collected wins over Michigan State and Tennessee. Over the course of the season, Kansas has lost center Udoka Azubuike (wrist) and reliable guard Lagerald Vick (personal reasons). These losses have taken a toll on the Jayhawks as they hobbled to the Big 12 tournament, ending the year just 8-6 in their last 14 games. As a team, Northeastern shoots it at a 38 percent clip from beyond the arc. Watch out for the Huskies. Most bracket pickers know that you can never trust an Ivy League school in the Big Dance, but I could see Yale shaking things up early in round one. LSU is in a state of complete disfunction, with no leadership in the clubhouse and a head coach who is currently suspended. This could open the doors for a high scoring Yale offense, led by junior guard Miye Oni among other veterans. The Cougars stick out to me as a team that could fall early. Despite an impressive record (31-3), 11 of the teams they’ve played have had records below .500. They’ve only played three ranked teams and have gotten used to beating up on nobodies. As Hunter alluded to, the state of basketball in LSU is in utter chaos and with a pesky Yale squad coming in hot with an Ivy League Tournament Championship, watch out. Yale is led by Ivy League Player Miye Oni who averaged 17.6 points, 6.3 rebounds, and 3.5 assists per contest. If you read Cole Schuessler’s article about trends in the Big Dance, you know that high-scoring veteran guards are key to pulling off the big upset. With LSU’s off-court issues and Yale coming in hot, I’d be slamming the panic button in Baton Rouge. LSU may be in trouble with their off-the-court issues and a Yale team posted for an upset. Photo by Gus Stark. Northern Kentucky is one of the better three-point shooting teams in the country, and Red Raiders have allowed opponents to shoot above 35% from downtown in six of their last seven games. Northern Kentucky also moves the ball extremely well, ranking 7th in the country in assists. 3. Give us your final four (while bolding the team you think will win). Why do you think that team will cut down the nets in the championship game? Call me basic, call me a follower, I just see Duke as just being to dominate overall. They have a floor general and facilitator in Tre Jones, the shooting and driving ability of both Cam Reddish and R.J. Barrett, the defensive anchor in Marques Bolden, and of course the Lebron-like swiss-army knife in Zion Williamson. There isn’t a more complete team in the field of 64 and I think the Blue Devils will prove that. Three Words: Zion, Zion Zion. We are witnessing a phenomenon in college basketball. The likely Naismith Player of the Year has returned and is playing at the highest level. Questions about Zion’s health can be put to rest as Williamson led Duke to the ACC Tournament Championship and the top overall seed in the NCAA tournament. Also, Duke has another Naismith finalist in RJ Barrett; the left-handed slasher is quietly averaging close to 23 a game for the Blue Devils. Furthermore, Apple Valley native Tre Jones is playing his best basketball, racking up close to 15 points and six assists in the ACC tournament. I know the pick is pretty basic, but I believe the Dukies have simply too much talent to falter in the NCAA tournament. Now I promise I did not let fellow writer Jackson’s picks influence my decision, but he had it almost perfect. I believe there is a clear top tier of teams in the tournament and unfortunately that sets up the championship to be a sea of blue: Duke vs North Carolina. UNC has great experience, led by Luke May and Cameron Johnson, but the sheer talent of the Blue Devils will ultimately be insurmountable behind Zion Williamson and R.J. Barrett. Expect Coach K to be cutting down the nets for the sixth time on April 8th. Three of six BFTB writers like Duke to cut down the nets in Minneapolis. Photo by Duke Athletics. I believe it comes down to the two ACC titans facing off in the Tourney finale. Despite Duke winning the most recent tilt between the two, UNC’s two previous wins against Duke are telling that they can handle a Duke squad who, outside of their big 3, lack depth. I know, pick up your jaw. Duke WILL NOT win the championship this year. The Michigan Wolverines are battle tested and have gone through the thick of the NCAA tournament before. After losing four players from last year’s NCAA Championship game team, the Wolverines are led by a plethora of players causing a defensive nightmare for opponents. The Big Ten Champions will continue their roll all the way to Minneapolis and take home the crown. Book it. Tom Izzo’s squad is rolling right now, winners of 10 of their last 11 in the brutal Big Ten. Cassius Winston is one of the best guards in the country, and I believe the Spartans have the defensive prowess and offensive firepower to topple Duke in their region and go on to win the Big Dance.